Don’t Miss Out On This Free Book by Caryl McAdoo! 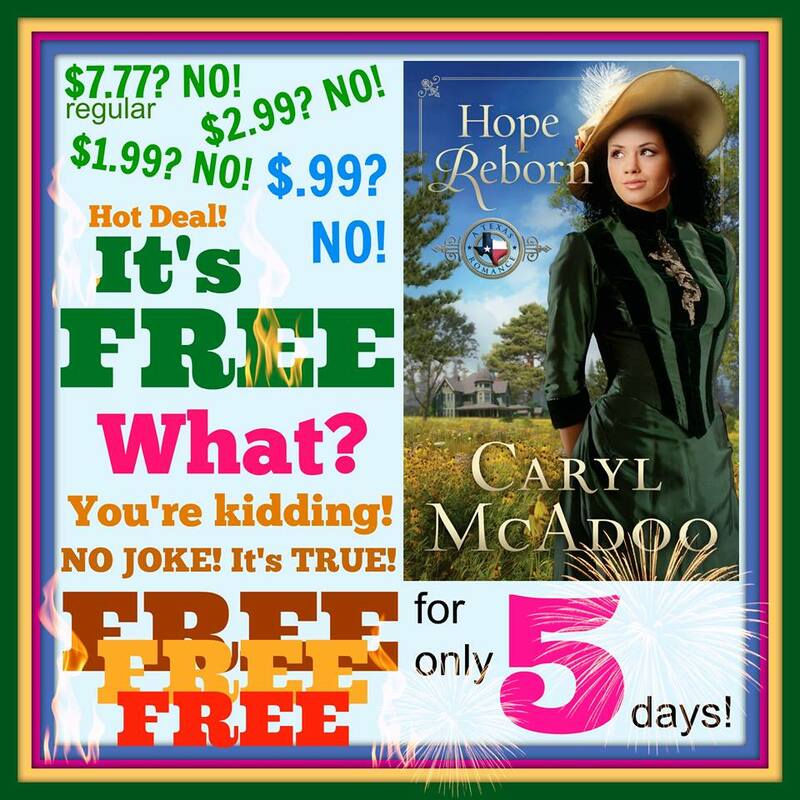 Another fantastic story by Caryl McAdoo, Hope Reborn is a Texas Romance set in the mid 1850’s. I read this story and really enjoyed it, and if you like historical novels, romance novels (clean romance novels! ), or just a story that will make you feel good, you should give this one a try! You can’t beat free, and once you get a taste of one of Caryl’s stories, you will be wanting more! Stop by tomorrow for my review of this book! Get your copy from Amazon here: http://www.amazon.com/s/ref=nb_sb_noss_1?url=search-alias%3Daps&field-keywords=Hope+Reborn+Caryl+McAdoo and be sure to let me know how you enjoyed the story!